I’m sure everyone knows by now that we got an entire week of rain last week. It’s not often that SoCal gets a storm like that, and we personally enjoyed it very much. The kids and I did end up feeling a little cabin fever by the end of the week. Going out in the rain is fun the first couple times but after a while it becomes annoying when you get soaked just trying to load the kids into the car! One day we had some particularly loud thunder, it was actually shaking our house. Natalie got a real kick out of that. 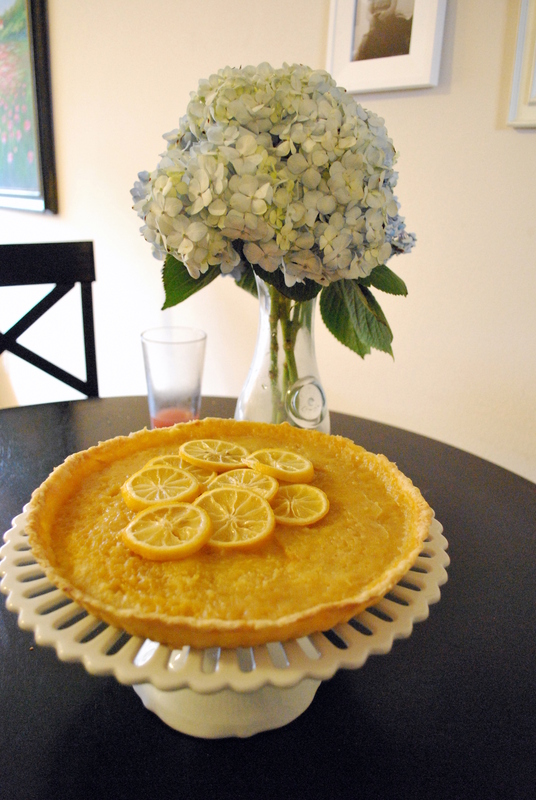 This recipe for Lemon-Vanilla Tart with Candied Lemon Slices was found in my Better Homes & Gardens magazine and promised to be “Sunshine by the Slice”. It was a nice treat in the middle of a very gray week. So good and tangy and simple, I highly recommend it. Though if I do it again I might try it with a different pastry, I like a thicker and sweeter crust. Coloring is Natalie’s favorite rainy day activity. We went through an unbelievable amount of paper last week. 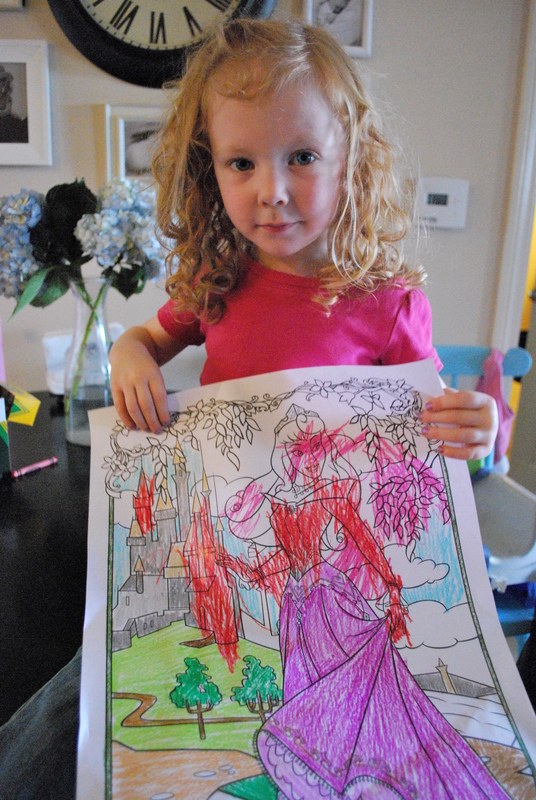 She especially loves these princess coloring pages. She’s starting to get the concept of staying in the lines, but truly her favorite thing is watching ME color and directing me what to color next! Fortunately for her I think coloring is relaxing and I had extra time on my hands last week, so we had nice times together. 1. No snapping crayons in half. 2. No tearing the paper off crayons. 3. No dropping crayons on the floor or Ben will eat them. We make Natalie repeat them to us and it’s always so funny to hear her say them. She tends to forget numbers 1 and 2 (she seems to have an uncontrollable urge to do those things), but is VERY concerned about #3. “Ben will eat them ALL GONE!” she says. Yes, he really will. This entry was posted by Mollie on Sunday, January 24th, 2010 at 9:46 pm	and is filed under In The Kitchen, Life & Times, Natalie. You can follow any responses to this entry through the RSS 2.0 feed. You can leave a response, or trackback from your own site. 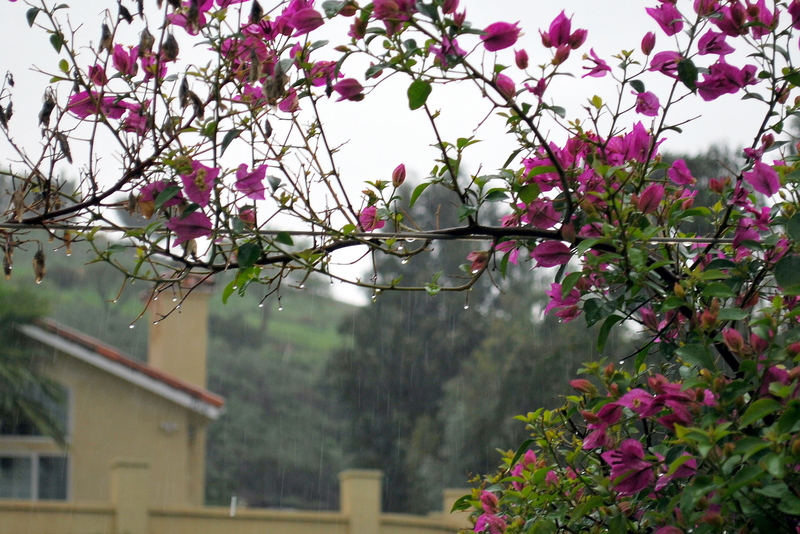 We heard about your rainy week. It sounds like you came up with good things to do! The tart is beautiful! So is Natalie, with her artwork! I always enjoyed coloring with the children, too, though it didn’t happen very often. Thanks for sharing. the tart looks amazing! and almost too pretty to want to eat, but not quite:) jackson and natalie are the same, in that their favorite thing to do is direct everyone else’s coloring:) it’s that eldest-child bossiness coming out that i can definitely relate to from when i was little:) he reminds me so much of me sometimes that i have to turn away to laugh before i can correct him sometimes.. miss and love you guys! eating crayons leads to lovely colored diapers! Was the lemon tart really nice and tart? Was there too much peel taste? Sounds like it might be yummy!